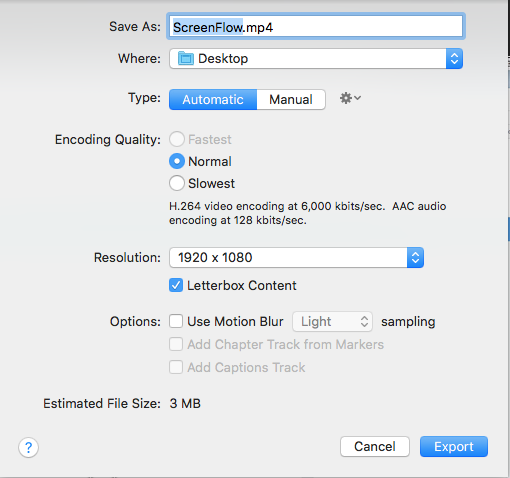 Can I convert a KeyNote presentation to ScreenFlow? I just created a Keynote presentation to be used for an online class, but I am unable to save to an AVI, MP4, MPG or WMV video file as per my web-people's specification. I heard ScreenFlow might be a good option but I am not very techy and need to know if this will be compatible before I purchase. Any feedback is appreciated - thanks!